Wuchopperen Health Service Limited (Wuchopperen) Chairperson, Donnella Mills has been recognised for her contribution to improving the health and wellbeing of Aboriginal and Torres Strait Islander people, through her appointment as Interim Chairperson of the National Aboriginal Community Controlled Health Organisation (NACCHO). Donnella has served as the Deputy Chairperson of the NACCHO Board for the past 12 months and takes on the role of Chairperson following the resignation of John Singer. NACCHO is the peak body for the Aboriginal Community Controlled health sector and represents 143 services, and 302 health centres across the country. 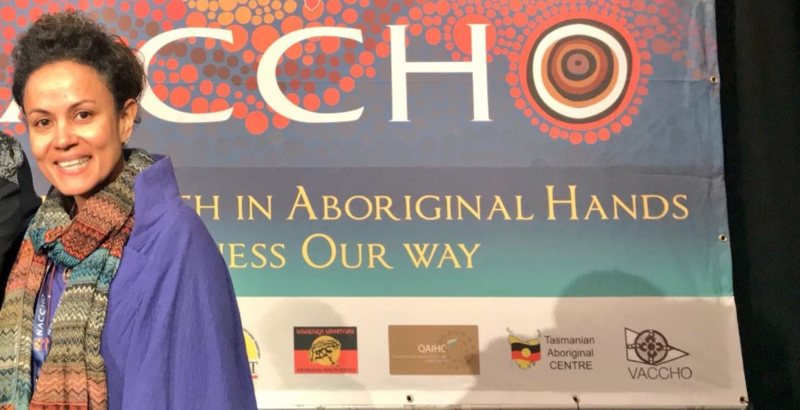 Donnella will work with the NACCHO Board to drive the national health debate in Australia, particular in regards to self-determination and community led solutions for closing the gap in Aboriginal and Torres Strait Islander health.